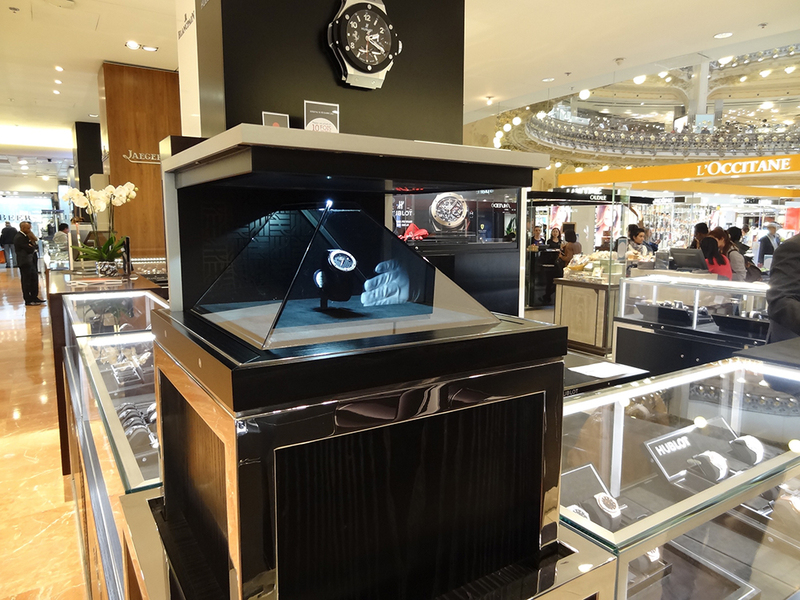 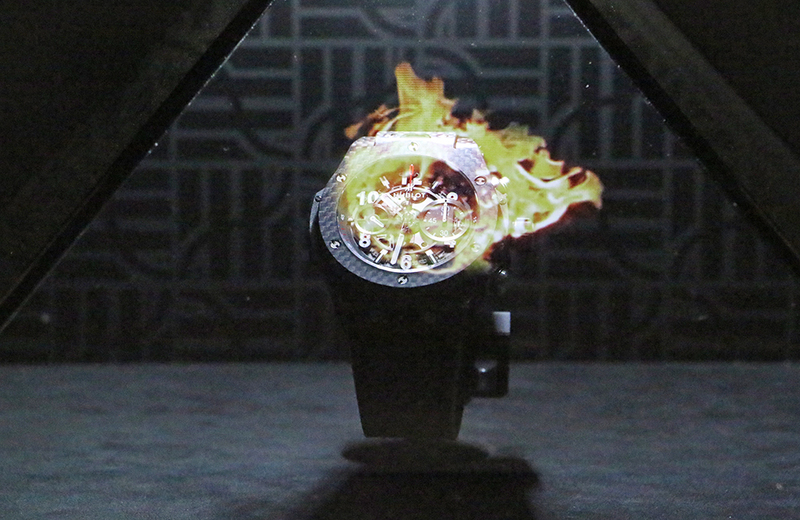 Watches are burning after a meteorite crash at Galeries Lafayette in Paris. 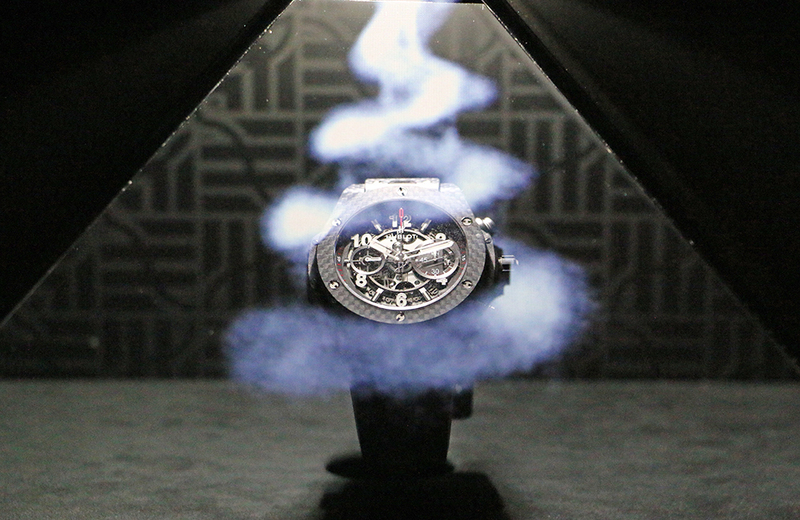 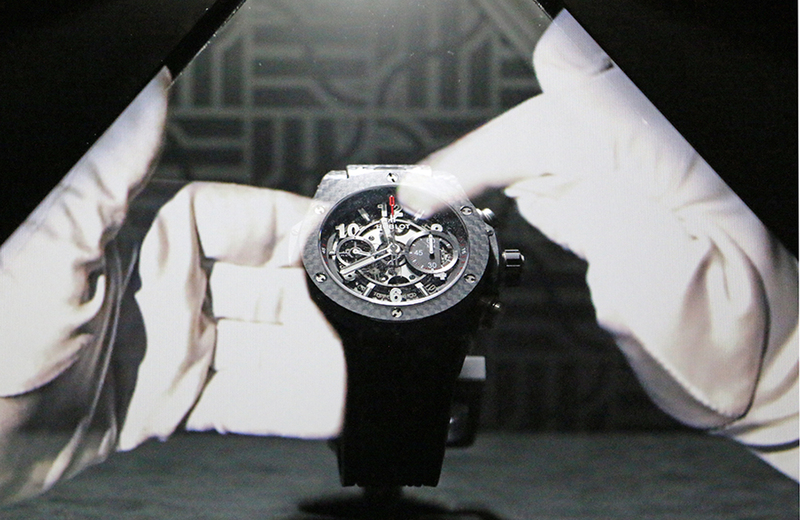 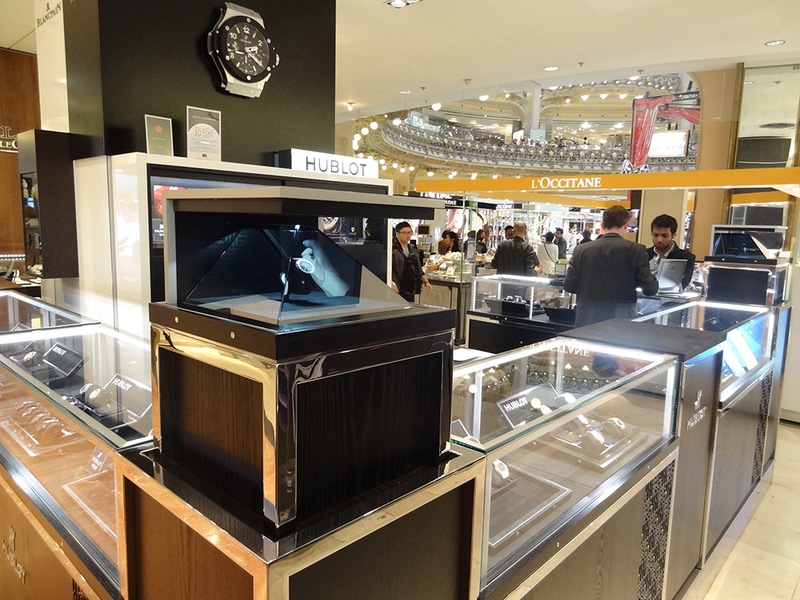 3D holographic display with interaction between various technologies. 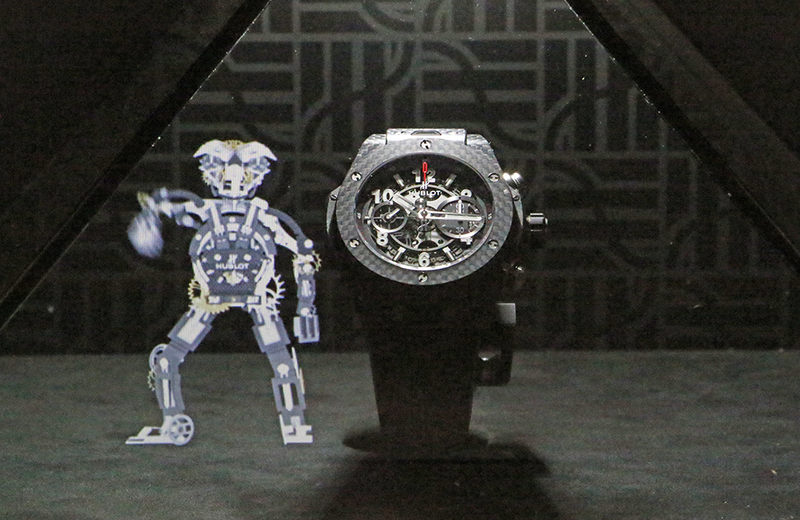 A visual and sound experience worth discovering : the meteorite, the robot and the magic gloves.